Peter Martin is an acclaimed jazz pianist, composer, arranger, and educator. The St. Louis native can now add entrepreneur to his list of accomplishments. Peter Martin is the co-founder and CEO of Open Studio Network, a video instruction platform for people interested in honing their craft with the help of world renowned jazz masters. Open Studio Network was created to solve the need of the beginner, the intermediate player and the professional jazz musician looking to learn from performers at the top of their game. Several years ago, Peter Martin started producing two-minute jazz piano instructional videos for his students at Northwestern University. The videos struck a cord with piano players from around the world. When jazz musicians requested longer-form lessons, Peter Martin turned to his childhood friend, Dan Martin, Open Studio Network co-founder and president, to launch a website that featured comprehensive instructional videos from accomplished jazz musicians. As Peter Martin explains, “Open Studio Network provides unprecedented access to some of the giants in the world of jazz.” The site currently features four instructors selected for their exceptional ability to teach and engage students as they advance at their own pace through the medium of video lessons. They are in the process of bringing on additional artist with plans of a total of 8 by 2017. 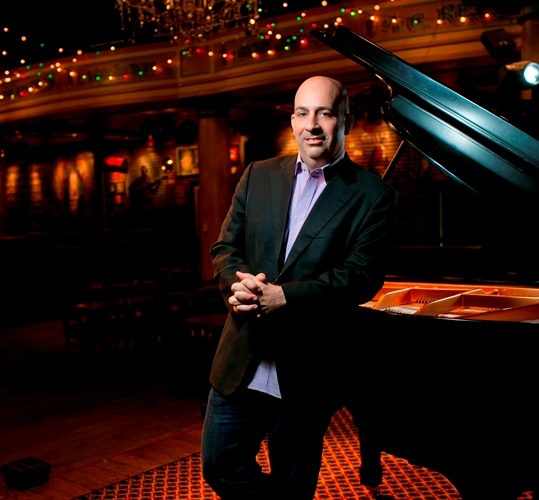 Jazz piano is taught by Peter Martin, who has deep roots in jazz education, having studied at the Julliard, and then in New Orleans with Ellis Marsalis. He’s performed workshops and master classes at institutions worldwide. For Peter, it’s not just about teaching a concept. He says his goal is to create a relationship with the student as he provides insight on how he executes certain subtleties of the piano. Bossa Nova guitar is taught by Romero Lubambo, considered by critics to be the “best practitioner of his craft in the world today,” according to Dan Martin. Jazz Guitar Foundations is taught by Peter Sprague. Sprague has created an extensive and definitive video course that includes an on-screen version of his best-selling textbook “The Sprague Technique”. Gregory Hutchinson offers instructional courses in both Fundamentals of Jazz Drumming and “Hutchology”, the science of jazz drumming under the guidance of one of today’s master drummers. Since its launch in September 2015, Open Studio Network has hundreds of customers from more than 50 countries.